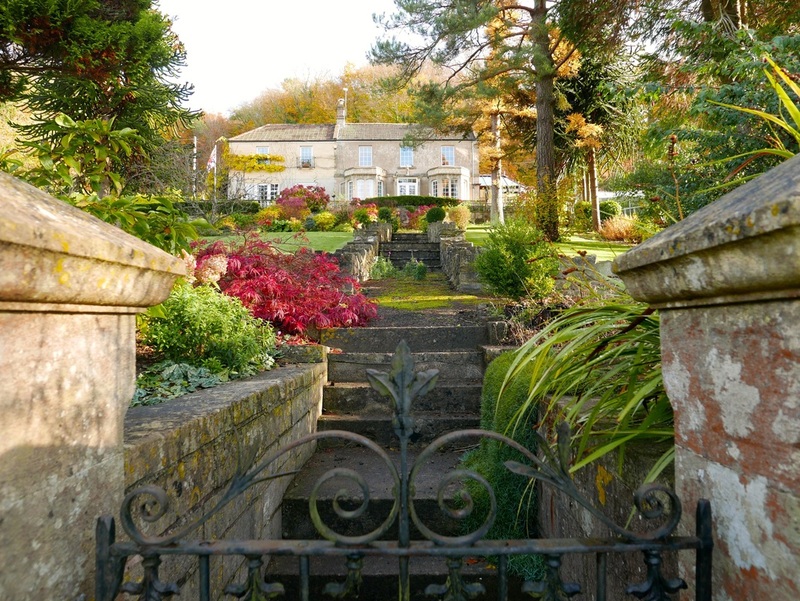 Rokeby Villa lies half way up Quarry Hill, an impressive, family house set back off the road with a fine frontage. You might pass by on a walk from the village to Quarry Woods but you would be doing it an injustice because it has an intriguing history, beginning with its particular and unusual name. Rokeby is a strange name for a house in Wiltshire. It comes from a long narrative poem of 1813 by Sir Walter Scott about an estate in County Durham owned by a Parliamentary supporter during the English Civil War. The story tells of love, murder, chivalry, deception and villainy. It was written to give character to a real house, Rokeby Park in Teesdale, which Scott knew. At the end of the poem is a note about Wild William Darell of Littlecote, Wiltshire. Why was a house in Box named after Scott's story? At first I thought it was a Victorian attempt to bring adventure and excitement to a new house on the approach road to the quarry site. But then I discovered an amazing reference to the house and Hazelbury Manor. The magazine Country Life reported in 1926 that Hazelbury is always remembered among the country people around as having had something to do with wild Darell and the Littlecote Tragedy. This story tells of a midwife who was blindfolded by two horsemen and taken to a big house to deliver the lady of the house with a child. The midwife was ordered to kill the baby, which she refused, and one of the men threw the baby on the fire. John Bonham. Obviously Scott had come across the story and worked it into his poem, a fact known to Victorian Box residents. From a legal dispute in 1893 we can find out about the origins of the building of Rokeby Villa, Box, in 1876. Edward W Northey, one of the lords of the Manor of Box, sued the occupier, Henry James Milsom, for recovery of the garden in front of the house, which he believed was not part of the house's garden. Northey claimed that the house was erected on a piece of land by a man named Greenway but that the garden itself was subject to a ground rent and gave an entrance to the Quarry Hill road. We get information about the layout of the house when Alfred Greenway, a mason, later stone merchant, advertised it for sale in 1885. It had two front sitting rooms with bay windows, four bedrooms, kitchen, scullery and out-offices. Also capital garden in front, containing 76 perches, well stocked. It was a rather grand house built by Alfred Greenway for aspiring middle-class families. It was probably a speculative build, too big for Mr Greenway himself, as in 1881 he was living there with just one son and had a substantial mortgage on the property. 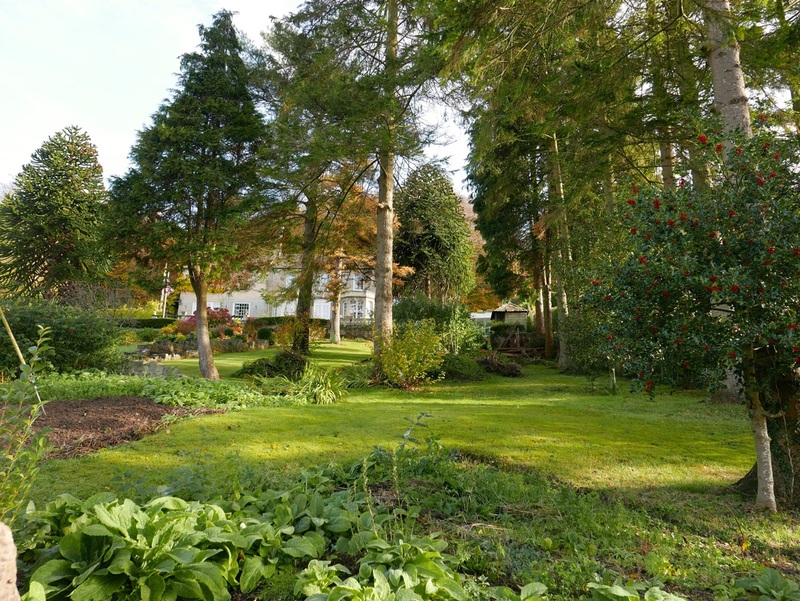 To maximise their return, the mortgagors took possession of the property and advertised the front garden as part of the property and this was the land that caused the dispute between Edward Northey and Henry Milsom. As the court case progressed we get more information about the property. Prior to Mr Greenway's ownership the land had been recovered from the waste by a man named Hobbs, who had tried to get title for the land by paying a small rent for it. 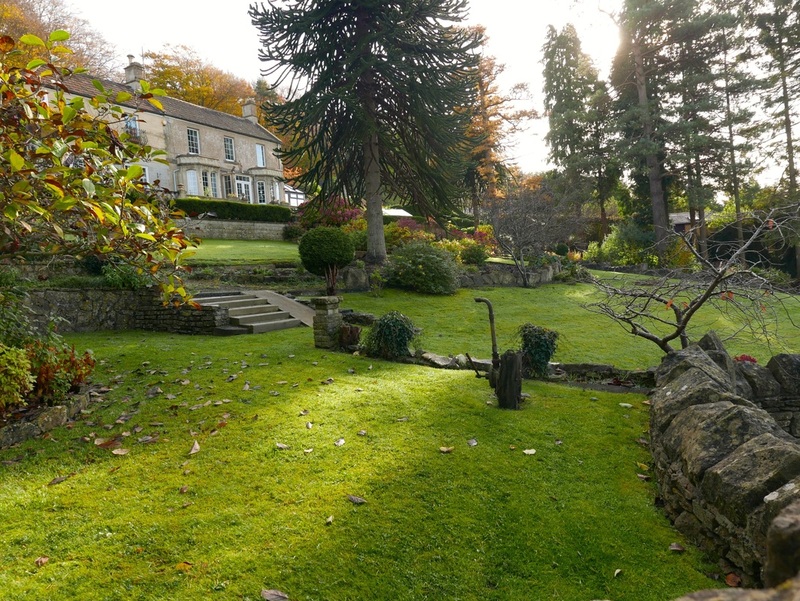 It appears that Mr Greenway had acquired rights in three plots of land in the area in 1876 from the Northey family but he had for many years paid a farm rent for this piece of land. Mr George Browning of Pickwick, Corsham, assistant overseer for the parish of Box, confirmed that since the erection of Rokeby Villa, the (rates) assessment covered both the property and the land but he didn't know who owned the garden. It all got very messy and the honesty of Henry James Milsom was called into question. Clearly it was a messy and expensive business for Henry and the decision ultimately went against him. The Milsom family came from Bradford-on-Avon and were a family of tailors. George Milsom (born 1816 at Holt) was described as Tailor. He married twice, to Elizabeth (b 1819) a Tailoress and later to Charlotte Bath (b 1820 in Box). By 1861 George, Charlotte and all the children from both families moved to Box Village, including Henry James Milsom, aged 13. Charlotte's family home in 1851 appears to have been next door to The Chequers pub, where all of her family were in the tailoring trade. It is possible that they were doing work for John Ponting, draper, who owned a shop further up the street. Henry James Milsom was a quarryman, not underground but in administration and sales, and he called himself a Commercial Traveller in Stone. 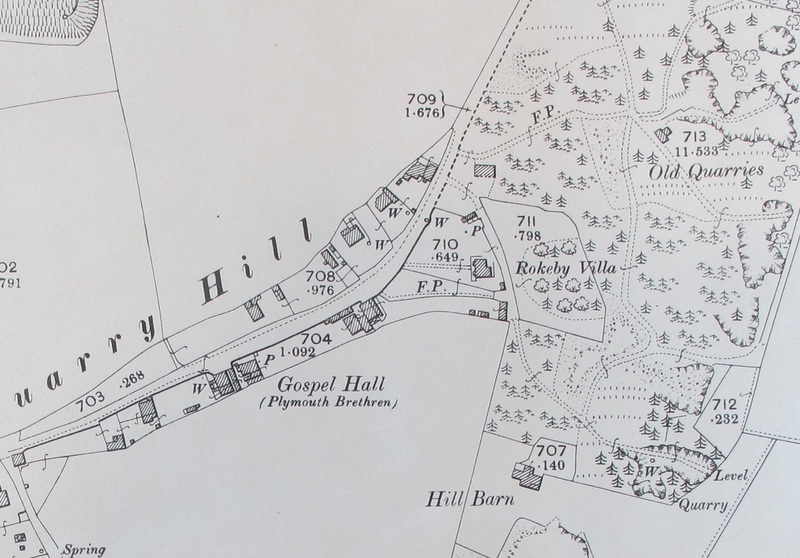 In 1881 they lived at The Paddock, Box (now next to the traffic lights) but moved shortly after to Rokeby Villa on Quarry Hill, possibly to be closer to Henry's workplace. Henry and his wife, Mary, had at least ten children. In 1893 they sought a situation for Agnes, the eldest daughter, advertising her abilities as housemaid, age 18, been out before. Work was hard to come by and a few months later Agnes was still advertising, now calling herself housemaid or nurse-housemaid. She clearly had difficulty in finding a position and in February 1894 was seeking Housemaid, preferably where Parlour Maid is kept but was not living at home in 1901. The children had a variety of occupations. At times Frank Chappell Milsom was a domestic groom for Lord Lytton; Harry was in the Royal Navy serving on the battleship HMS Caesar; Richard was a schoolteacher. In 1903 Henry stood for the newly-formed Box Parish Council but, although he won a very creditable 48 votes, he was unsuccessful against the worthies of the village. He died in 1923 and was buried in Box Cemetery. The children were caught up in the conflicts of the First World War. Sapper RP Milsom of Rokeby Villa, Box, was listed in a Roll of Honour as wounded while serving with the Royal Engineers in 1918. The area had remained remarkably consistent since Rokeby was built. The Nowell and Hobbs families still lived at the top of Quarry Hill at 1 Rose Cottages and West View. The man called Hobbs who paid rent on the land could well have been Francis Hobbs (1858-1936) who lived in Quarry Hill for some twenty-odd years, in 1891 being at West View, Quarry Hill. Ellen Hobbs married a Frederick Nowell but it hasn't been possible to tie him up with Alfred H Nowell. In 1939 the house was owned by members of the Nowell family including journeyman stone mason Alfred H Nowell (born 8 November 1882), his wife Edith (b 1888) and their son Kenneth (b 1916). The record showed that Alfred's masonry skills could be useful for military purposes (marked PWC) but, of course, he was 59 at the start of the war and too old to serve. The Quarry Hill area has changed greatly in the years since Rokeby was built. Some of the ancient quarries behind the house have collapsed leaving deep scars in the area and the beech trees have grown up in the dips and around the site. Nowadays it is a splendid walking area for Box residents, particularly children. 1. George Milsom (b 1816) at Holt is described as Tailor. 2) Charlotte Bath (b 1820) who had previously been married to Mr Bateman. Henry married Mary (b 1852) and was involved in the stone quarry trade, in 1901 as a Commercial Traveller in Stone and at other times as builders' manager (mason). Children: Edwin G (b 1874); Agnes S (b 1876); Winifred G (b 1877); Harriett N (b 1878); Harry F (1880); Richard (b 1884); Dorothy Farr (b 1888); Frank Chappell (b 1890); Reginald (b 1894); Rosalie Elsie (b 1898). No connection has been found between the two Milsom families on Box Hill: the Rokeby family and David Milsom who ran MAPS Mineral Plant and the Rising Sun.